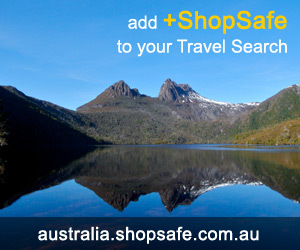 There are 13 shops in the ShopSafe USA Chocolate Shopping Category. Simply divine chocolate! Supreme, hand-made mahogany gift boxes housing the finest chocolate truffles in the world made by world-champion French chocolatiers. These delicacies are saturated with a plethora of delicious flavors from all over the world. Who could say no to gourmet chocolates delivered once a month? Join The Heavenly Chocolate Club and each month receive a one pound box of gourmet hand-dipped chocolates delivered to your door. Great gift idea! The Hershey Store sells a variety of chocolate gifts, collectibles and licenced merchandise. They also offer a delicious assortment of gifts and edible delights, from chocolate filled mugs and tins, apparel items, scented candles, toys, holiday and personalized items. Chocolate gift ideas for any time of the year. Dan's Chocolates have delicious truffled filled Easter Bunnies, customised photo boxes for a more personalise gift, Chocolate bars and towers, Wedding and Party specialties and corporate gift ideas. Buy and customize My M&M's Candies with words, faces, logos and 25 colors. Personalized My M&M’s Candies are great for gifts, party favors, birthdays, holidays, corporate events, sporting events, corporate gifts and more. A gift out of the ordinary. Dean & Deluca have an impressive selection of gourmet chocolate gifts that include indulgent puddings, dreamy chocolate sauces, decadent cookies, chocolates and more - much more! Great site, worth a visit. A beautiful selection of fine handmade luxury chocolates. Delicious Gift ideas - chocolates in Gift boxes, Hat boxes and Towers, Chocolate and Champagne Gifts and more. Theos is the only Organic, Fair Trade, Fair for Life certified Bean-to-Bar Chocolate Factory in North America. Loads of mouth watering temptations available, Bars, Drinking Chocolates, Caramels and Gift Collections. Americas first contemporary artisan chocolate manufacturer. Scharffen Berger Chocolate Maker crafts the richest, most flavorful chocolate by sourcing the best cacao in the world and blending it in small batches using vintage equipment. Shop for Gifts and Baking products at their online store - recipes and advice available. Buy gourmet chocolate and delicious candies from Fannie May collections. Chocolate and candy made with a combination of caramels, fruit, nuts and other yummy treats to provide something different for every chocolate and candy lover. Whether you want a classical assortment, an assortment of fruit and nut candies covered in chocolate, or a custom box of chocolates, Fannie May has just what you are looking for. Made with delicious Belgian chocolate, you can choose Nirvana Chocolates one by one. Select from the Seasonal or Classic Collections, boxes of luxurious Truffles or the Zen or specialties Collection. All else failed? Let us help. If you want to see more Chocolate here, please e-mail chocolates@shopsafe.cc. Please do not change the subject line of your email. If the subject line does not contain "Add to ShopSafe Online Shopping" it will not be read.